Team Penley McNaughton is committed to their customers and pride themselves on always being available to their clients. The team has developed a special program for first time buyers as well as a program for purchasers of revenue properties. For sellers, Team Penley McNaughton has developed a proven marketing system that will sell your home, not just list it. This ensures the selling of your home in the minimum amount of time and for the maximum amount of dollars. 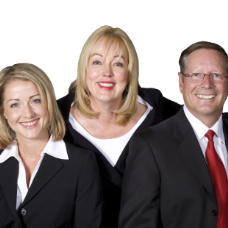 Doug, Susan and Kristen have established strong working relationships with all other professionals that you will need to be acquainted with during your real estate experience. You can be assured that they will always refer you to the most knowledgeable lawyers, mortgage brokers, financial institutions, home inspectors and other professionals. As well as pre-owned residential homes in all four quadrants of Calgary, Team Penley McNaughton also specializes in acreages, apartment condominiums, townhouses, commercial properties, investment properties and new homes. Team Penley McNaughton is in the top 3% of REALTORS® in all of Calgary.